Scots fashion and textiles designers have battled it out to become the country’s ‘pre-loved textiles talent’ who can fashion creative must-have collections from pre-loved clothing. After fending off tough competition, two gifted designers have been chosen for the one-off opportunity from Zero Waste Scotland and the Salvation Army Trading Company which will challenge them to display the value of textile waste by transforming old garments into new collections. The initiative, part of the Love Your Clothes campaign, will see the winning experts embark on a 12-week residency to create two new “fashion-forward” collections from 150 kilos of unwanted garments. 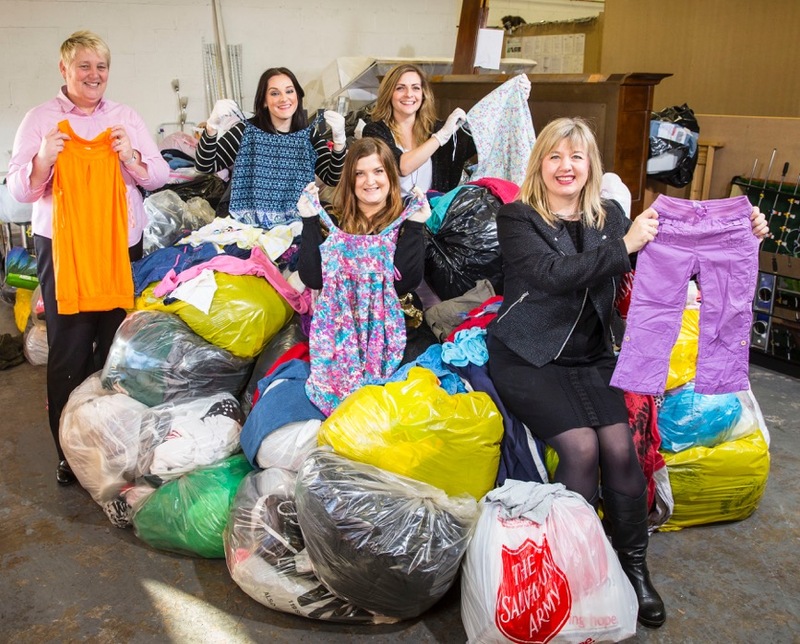 The Love Your Clothes campaign, from Zero Waste Scotland, has teamed up with the Salvation Army Trading Company to remind people that clothes should never be thrown away and they always have a value. Specialising in printed textiles, Aimee Kent – who has worked with Henrietta Ludgate and Niki Taylor from The Top Project and Olanic – and Black Cherry Studio who have supplied Kookai, Jaques Vert and Primark – will create couture collections from clothes donated to Salvation Army charity shops and clothing banks, thereby transforming them into catwalk-worthy creations. Lynn Wilson, textiles manager, Zero Waste Scotland said: “The project aims to encourage Scots to pass on or donate old clothes first and recycle second. All textiles have a value and can be used again and again; clothing should never be put in the bin. “I believe that with a little TLC, most unwanted clothing can be transformed into something valuable. We really want people to see there is worth in their clothes. “To really bring this message home, we teamed up with the Salvation Army to launch a unique competition among Scotland’s most talented fashion and textiles designers to see what they could create from the cast offs. 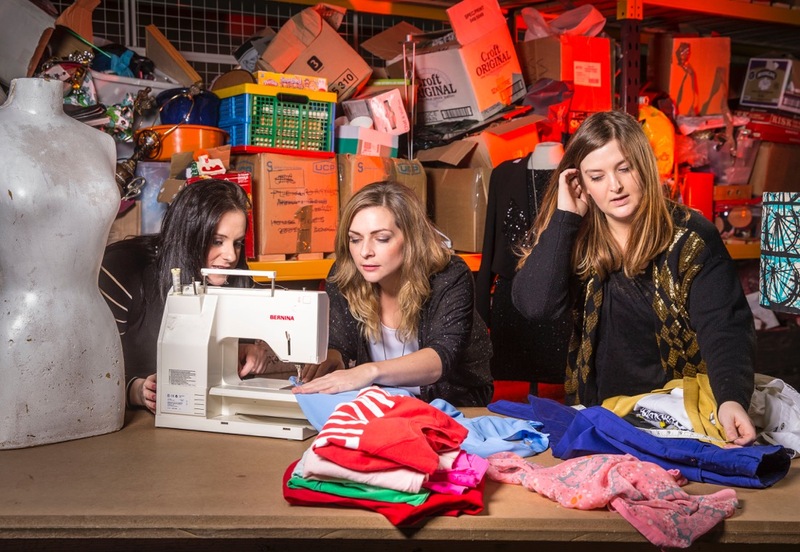 “Our two fabulous winners are eager to get started by hand-picking their staple pieces from five tonnes of unwanted garments. “They will then set to work over the next 12 weeks creating a new fashion and textiles collection using this previously unwanted and unsellable clothing. Once complete, an expert fashion panel will appraise the collections and deliver their professional valuations on how much the newly created pieces are worth. In the UK alone, garments have an estimated life span of two years, three months. The average Scottish household owns around £4,000 worth of clothes, but wear only 70 percent of that each year, most commonly because it no longer fits. It is estimated that £140million worth (350,000 tonnes) of used clothes ends up in landfill each year, which is over 30 percent of our wardrobes. Speaking of the upcoming challenge, Jemma Wood, owner of Black Cherry Studio said: “It feels absolutely amazing to have been selected. We were blown away when we heard the news. I have lots of great ideas that I am keen to get started on. The Salvation Army Trading Company is one of the largest clothing recyclers in the UK with 52 charity shops in Scotland as well as thousands of recycling banks. Each year they receive around 30,000 tonnes of donated textiles in the UK, which helps raise vital funds for the charity’s work with vulnerable people. Catherine Hamou from The Salvation Army Trading Company said: “There is so much value in textiles that people often don’t see, so we’re really excited to play a part in this project. The creativity of these talented designers should prove to be very inspiring and we’re looking forward to the results over the coming months. The charity is well known across the country, helping to fund programmes with homelessness and addiction services, care for older people, help at emergency incidents, support for adult victims of human trafficking in England and Wales, a Family Tracing Service and more. The commission will finish on 28 February 2016 with the collections unveiled in March 2016. Learn more about recycling clothing and how to recycle fiber & textiles here on Apparel Search.